Colombia to us Europeans is a country known for its coffee and its hard drugs. But it is also a country of high mountains. The capital, Bogota, is situated in the Andes Mountains at an altitude of 2600 meters. 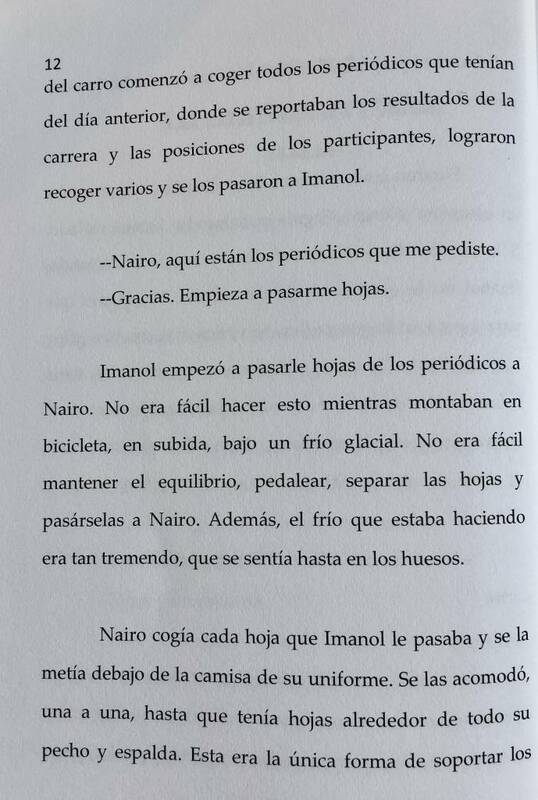 The cyclist Nairo Quintana grew up in a little village in the Andes. He had to traverse the 16 kilometers to school every day on an old mountain bike. 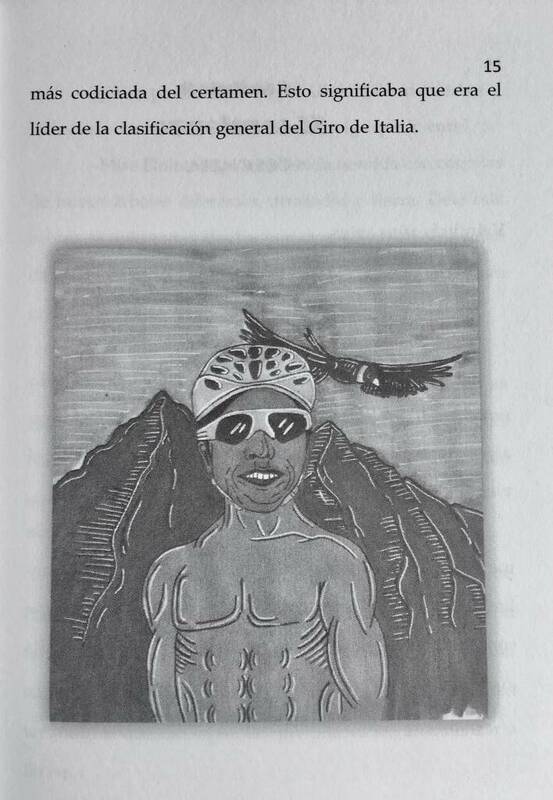 With this head start, born out of necessity, he became a professional cyclist. In 2014 he won the Giro (the tour of Italy) and in 2016 the Vuelta (the tour of Spain). In the tour the France in 2013 he was second in the overall classification, first in the ranking for young riders and of course the best climber in the peloton, which earned him the Polka Dot Jersey. This little book will take you to Colombia, Italy and France covering several stages in Quintana's life. We follow him in episodes with his family, or in stages of big races either with his teammates or on his own. 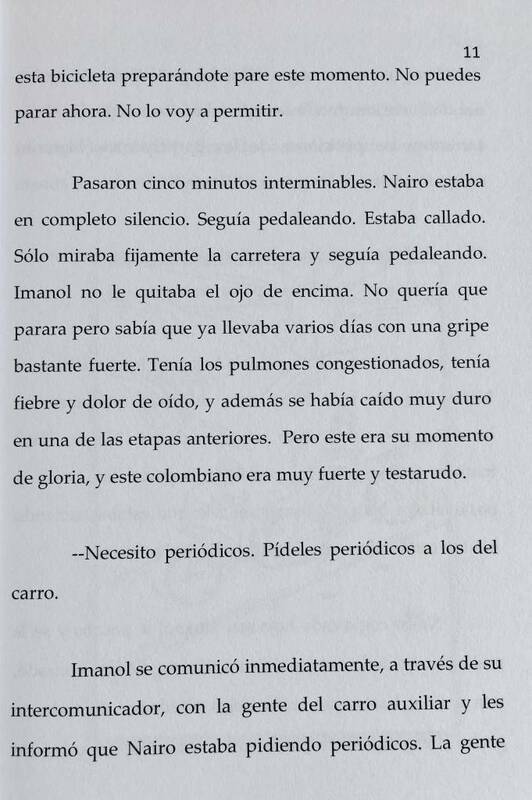 Yet the story is about more than cycling alone, it is about the Andes, Colombia, family, friendship and the drive to overcome difficulties. 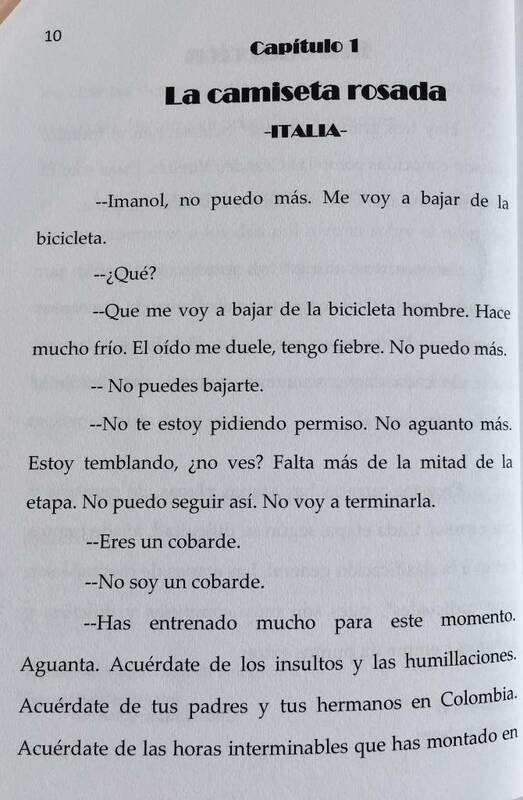 This book has a Spanish-English glossarry per chapter. "If you enjoy cycling and have watched the Giro and the Tour you will certainly have come across the name Quintana. He is now - in the year 2018 - 28 years of age, and will definitely compete in more races with a good chance of winning one or two. 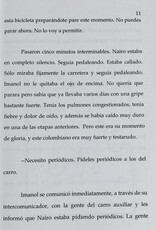 therefore it will be interesting to read about his life and his participation in cycling races in Spanish. 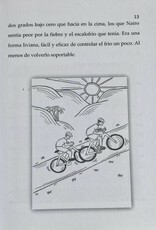 Apart from cycling this book also deals with other topics, such as family, friendship and perseverance." 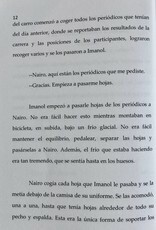 This book is meant for more advanced students of Spanish, who are at least on A2, B1 level (see the sample pages on the left-hand side). 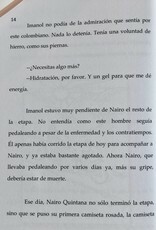 The book can be read independently or in a classroom setting. 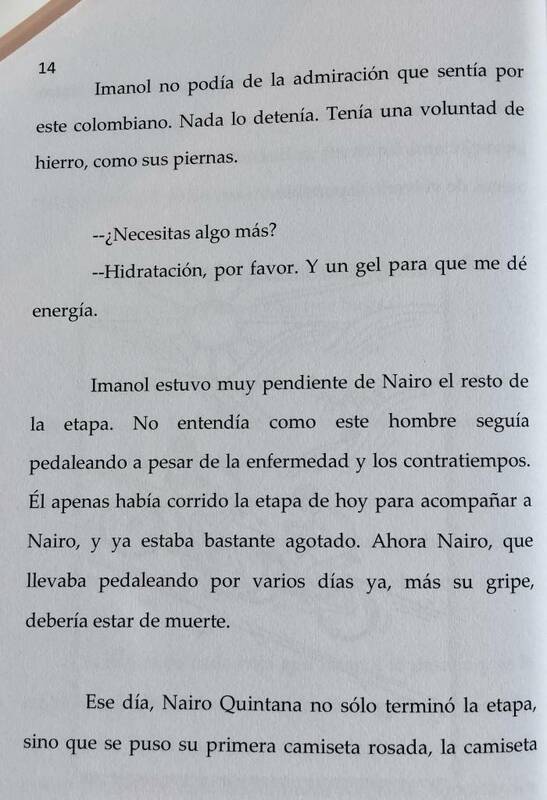 It is about the well-known Colombian cyclist Nairo Quintana. The Giro d'Italia is held in May and the Vuelta (the tour of Spain) in September. 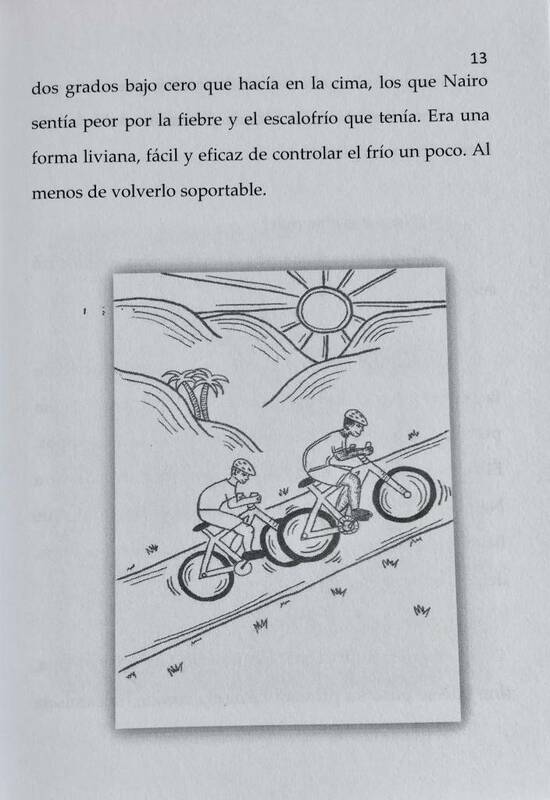 Reading the book in class could fit in nicely with these events and it might be interesting to use authentic footage of big cycling races in your lessons. 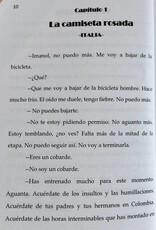 The author of this reader is Adriana Ramirez, a teacher of Spanish and French in Canada, who always works with TPRS in her classes. She has written Spanish textbooks with comprehensible input for students at several levels. She often leads workshops to train teachers to work with TPRS. If you are interested in her methods you can see her in action on her Youtube-Channel.